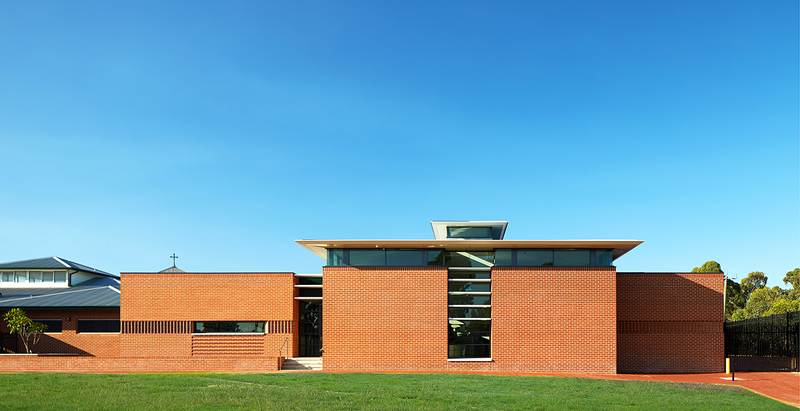 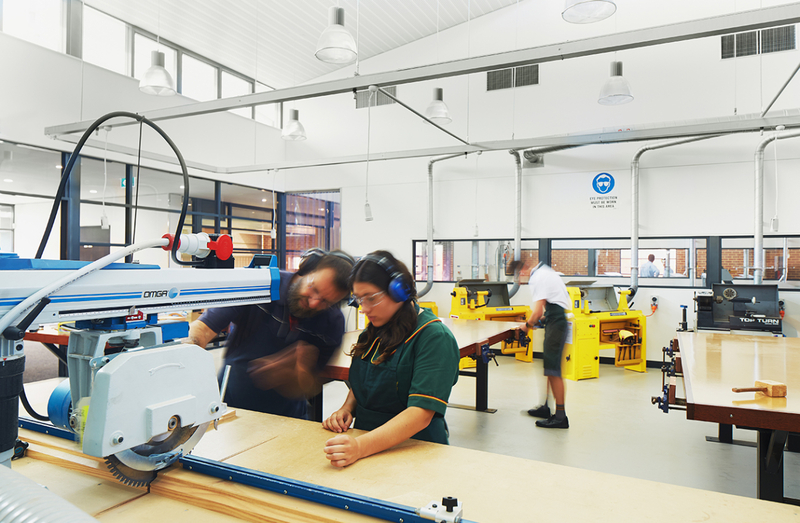 The new Trade Skills Centre at La Salle College in Middle Swan, Western Australia, replaces a dated facility on the North West edge of this densely populated campus. 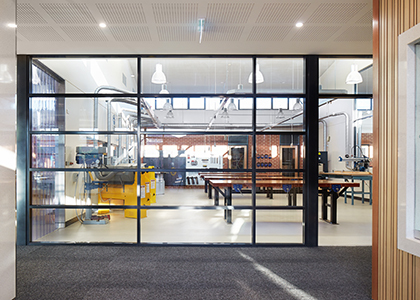 The new building caters for the growing demand for vocational training in this area and capitalises on its location adjacent to Midland Brick. 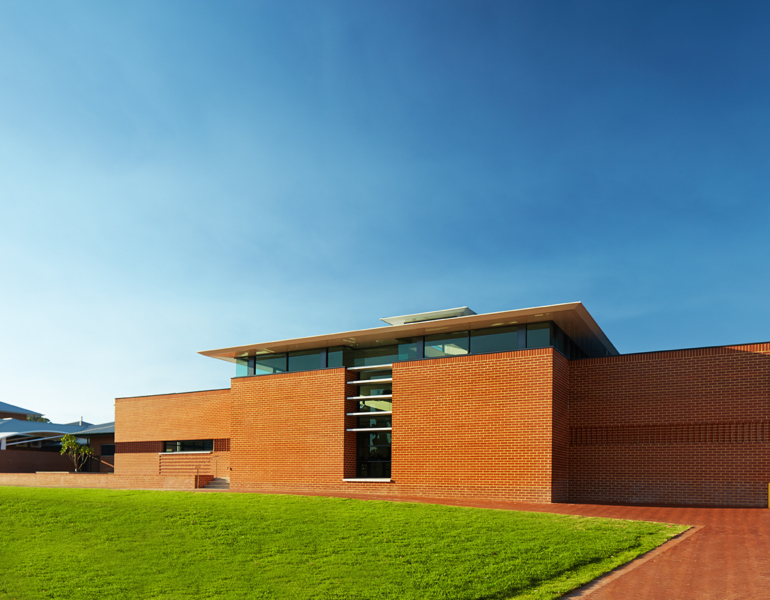 The building design takes cues from the materials and forms of the adjacent buildings. 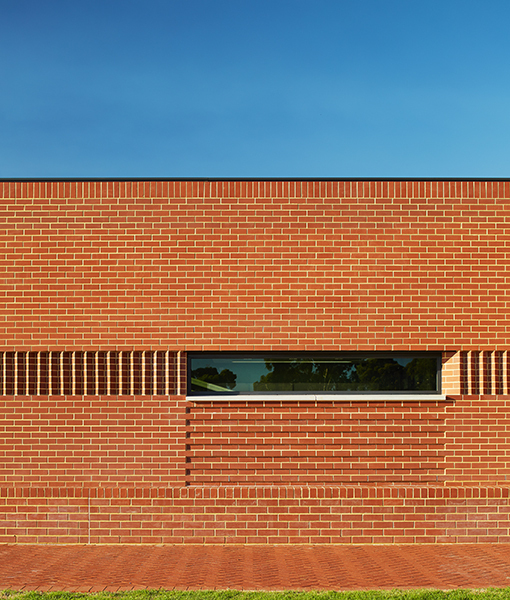 The materials are robust yet the building achieves lightness through the generous use of glazed screens and floating lantern roofs which bring controlled light into the interior and allow for good natural ventilation. 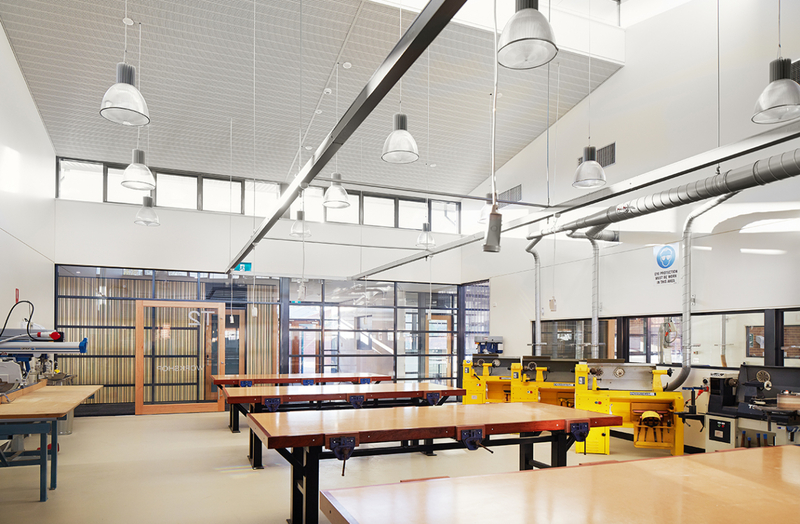 The design is simple and functional, and consists of a row of workshops complimented by welding, grinding and storage areas located with easy access to the existing service road along the boundary. 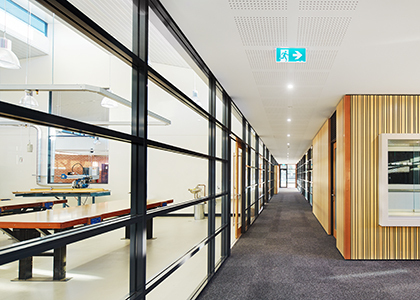 Design laboratories and staff areas are located on the College side of the building for safe pedestrian access. 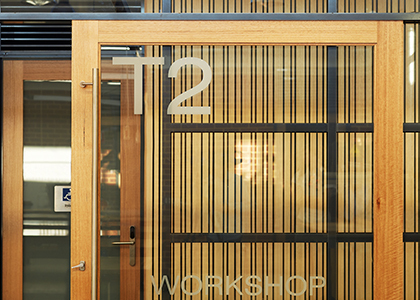 A glazed central walkway separates the workshops from the design labs to provide an additional noise and dust buffer and to ensure classes are not disturbed by pedestrian traffic through the building. 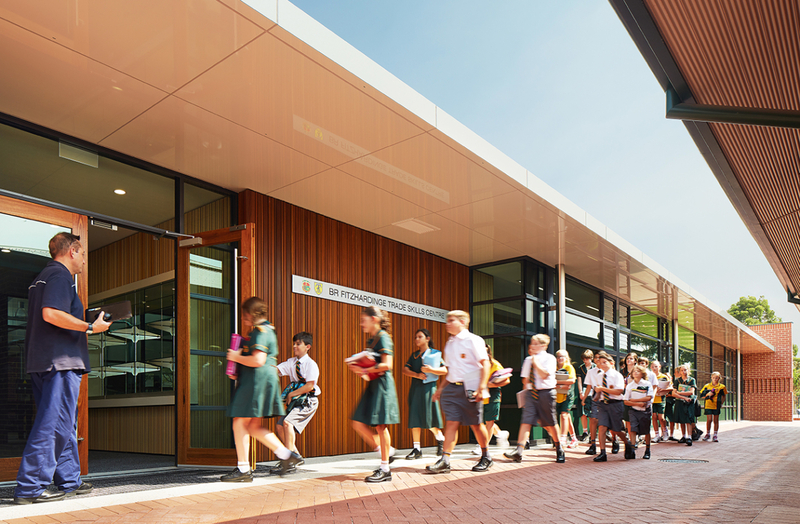 Full-height internal glazing provides transparency, visually connecting the design learning areas with the practical workshop functions, and maximising natural light throughout the building.